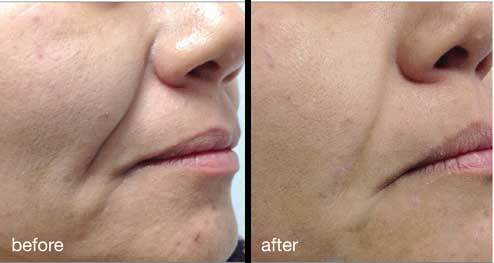 The Fotona 4D Laser Facelift is a non-invasive laser treatment of both the exterior facial and interior oral cavity. 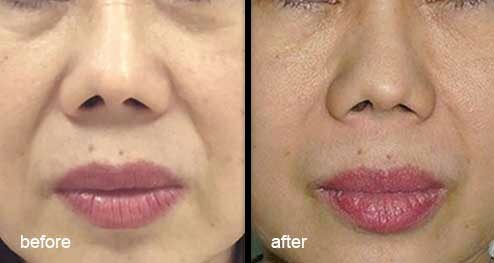 It enables full-thickness contraction of collagen for persistent tightening and volumization without injectables. The result is better skin laxity, reduction in lines and wrinkles, increase in volume, smoother skin texture, and even skin tone. The Fotona 4D Treatment uses two laser wavelengths (Er:YAG and Nd:YAG) and four unique laser modes: SMOOTH®, FRAC3®, PIANO® and SupErficial™. The SMOOTH mode is conducted on the inside of the oral cavity. This non-ablative laser provides a controlled and gentle “bulk-heating” to stimulate collagen contraction as well as the stimulation of new collagen fibers. The primary target of this step are the nasolabial folds, which get a nice plumping effect from the inside out, similar to a filler. There is no downtime and you can continue your daily activities right after the treatment. Some patients may experience mild redness and swelling for a day or two.